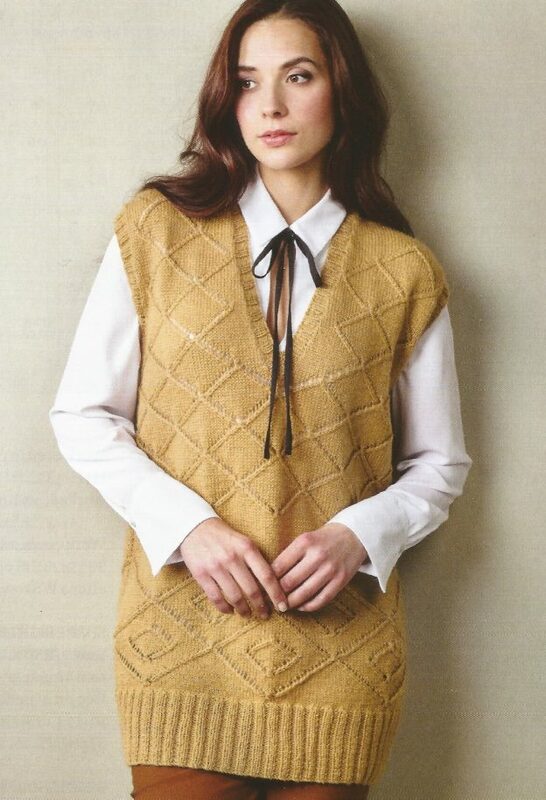 Berkeley Square is my latest design to feature in The Knitter magazine (Issue 135). The design was inspired by the long, lean look of the 1920s, but I also had in mind a versatile top that would work over leggings and jeans. The slipover is knitted in a lovely, soft DK wool (Erika Knight British Blue 100) The diamond openwork design reveals flashes of colour from the underneath garments. The names of several of the garments in this issue of The Knitter are inspired by London locations, and I’m happy with Berkeley Square – home to Bertie Wooster and Jeeves, and redolent of glamorous London nightlife in the 1920s and 30s – and where a nightingale sang!